Bearskin Neck in Rockport, Massachusetts is a year round mecca for tourists but traffic slows down considerably by mid-November. It’s a bit like Provincetown, MA in minature and much more intimate and approachable. You’ll find photography, painting and print galleries; T-shirt shops; ice cream; a great year-round coffee shop with a view of the harbor; potters; pewter, jewelry; and collectables of all kinds. I especially admired the work of potter and painter Scott Tubby who spoke with us at length in his new, 2-story gallery. This photograph is a composite of three images, each made with an exposure time of 15 seconds. On an autumn night Jupiter dominates the heavens above a cemetery in Gloucester, MA. In contrast to the color and vitality of Bearskin Neck this view of the night sky, features Jupiter in all his majesty. If I’d had the patience I would have make a 1 or 2 hour capture of the star trails. Yet, I think the rendition of twinkling stars offset by the silhouette of a grand, leaf-less old tree is sufficient. As always, these photographs are available as large format archival prints suitable for display in galleries, homes, offices, and institutions; and as stock images licensed for commercial use. Click the image for a larger view and purchase information. 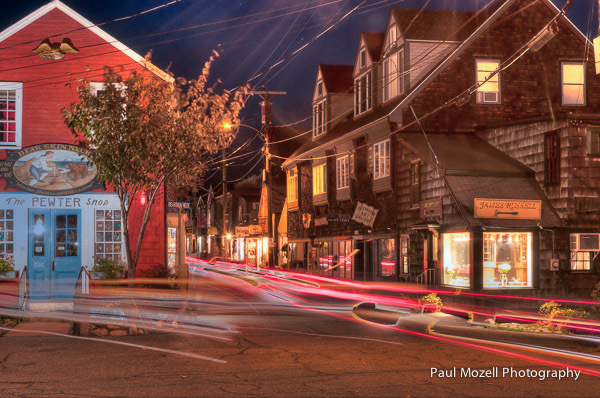 Bearskin Neck, cape ann, gloucester, night, paul mozell, photography, rockport. Bookmark. 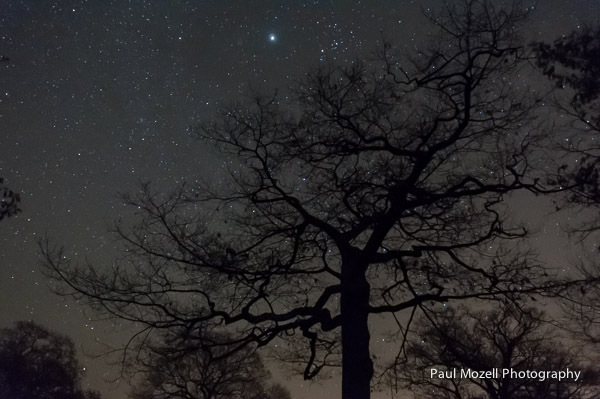 I love the photos, especially the tree and stars. Actually, I love them both.